Give and it will be given to you. And it will be given to you in a good measure, full and overflowing, because the Lord will be generous: we give one and He will give us a hundred of all that we give. This is the attitude that prevents us from judging, from condemning and helps us to forgive. 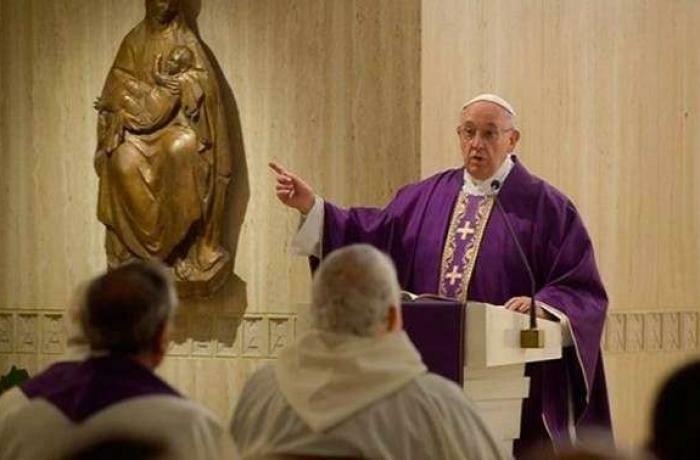 Do not judge others, do not condemn but forgive: this is how we imitate the Father’s mercy said Pope Francis at Mass in Santa Marta this morning. Inspired by today's Gospel of Luke (Lk 6,36-38), he spoke of God's mercy, capable of forgiving the "ugliest" actions. The Pope said God's mercy is truly great and we must not forget this: “How many people [say]: "I have done such bad things. I bought my place in hell, I won't be able to go back ". However, do you think of God's mercy? We should remember that story of the poor widowed lady who went to confession to the priest of Ars (her husband had committed suicide; had he thrown himself from the bridge [down in] to the river?). Moreover, she was crying. She said, "But, I'm a sinner, a poor thing. But my poor husband! He is in hell! He committed suicide and suicide is a mortal sin. He's in hell ". In addition, the curate of Ars said: "Please, stop, ma'am, because between the bridge and the river there is the mercy of God". Right to the end, to the very end, there is God's mercy. To follow in God’s mercy, Jesus indicates three practical suggestions. First, do not "judge": this is a "bad habit" from which to abstain, especially in this time of Lent. In addition, this habit interferes in our lives even without us realizing it. Always! Often conversations start with: "Did you see what he did?" Judgment of the other. Just think of how often we pass judgments in one day. All of us, we are all bad judges! We all tend to begin a conversation, pass a comment on another: “Look, at the cosmetic surgery! She is uglier than before”. Secondly, we must not judge. Finally, to forgive, even if it is "so difficult", because our actions give "the measure to God of how He should judge us". 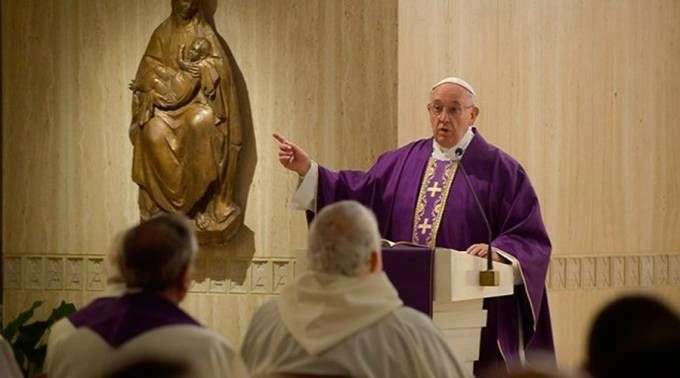 In his homily, Pope Francis invited everyone to learn the wisdom of generosity, a way to renounce "gossip", in which "we continually judge, continually condemn and hardly forgive". The Lord teaches us to "give". "Give and it will be given to you": be generous in giving. Do not have "closed pockets"; be generous in giving to the poor, to those in need and giving many things: giving advice, giving people smiles, smiling. Always give, give. "Give and it will be given to you. And it will be given to you in a good measure, pressed, full and overflowing ", because the Lord will be generous: we give one and He will give us a hundred of all that we give. Moreover, this is the attitude that blinds not judging, not condemning and forgiving. The importance of almsgiving, but not only material alms, but also spiritual almsgiving; wasting time with someone else in need, visiting a disabled person, smiling.